Marg is an executive coach, trainer and facilitator. She delivers a range of programs for CPM to the public sector and has a reputation for evidenced-based, innovative program design and high participant ratings. Marg works closely with her clients to ensure her programs meet identified needs and result in learning transfer, behaviour change and benefits to individuals, teams and organisations. Facilitating meetings, planning sessions and large fora. Marg’s 28 year career spans project management, policy development, system-wide change management, stakeholder engagement, education and training. 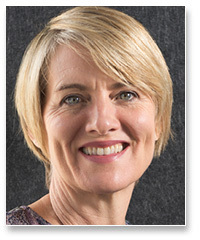 Since 2007, she has provided a variety of learning and development programs to Parliament House; the Attorney-General’s Department; the National Library, the National Film and Sound Archive, Australian Crime Commission, CSIRO, Geoscience Australia, and the Departments of Foreign Affairs & Trade, Finance, Defence and Social Services. Marg also provides executive coaching services to SES, EL and APS from over ten Commonwealth Departments and agencies, in addition to private sector executives. Marg holds a Masters of Applied Science in Coaching Psychology (2011), a Graduate Diploma of Educational Studies (Health) and a Diploma in Teaching (with distinction), all from the University of Sydney. She is one of the few tertiary qualified executive coaches in the ACT in addition to a level one accreditation with the Institute of Executive Coaching and Leadership (2008). Marg is accredited in the Values In Action (VIA) Strengths Survey and the Myers Briggs Type Indicator (MBTI) diagnostic instrument and is experienced with a range of psychometric assessment tools. She is a member of the International Coach Federation (ICF), the University of Sydney Coaching and Mentoring Association (USCMA) and the Australian Institute of Management. Marg is committed to professional excellence and invests annually in short courses, workshops, conferences, books and journals. Since 2010, she has attended monthly coaching supervision and belongs to both a consultants community of practice and a Mindfulness Based Stress Reduction (MBSR) professional group.